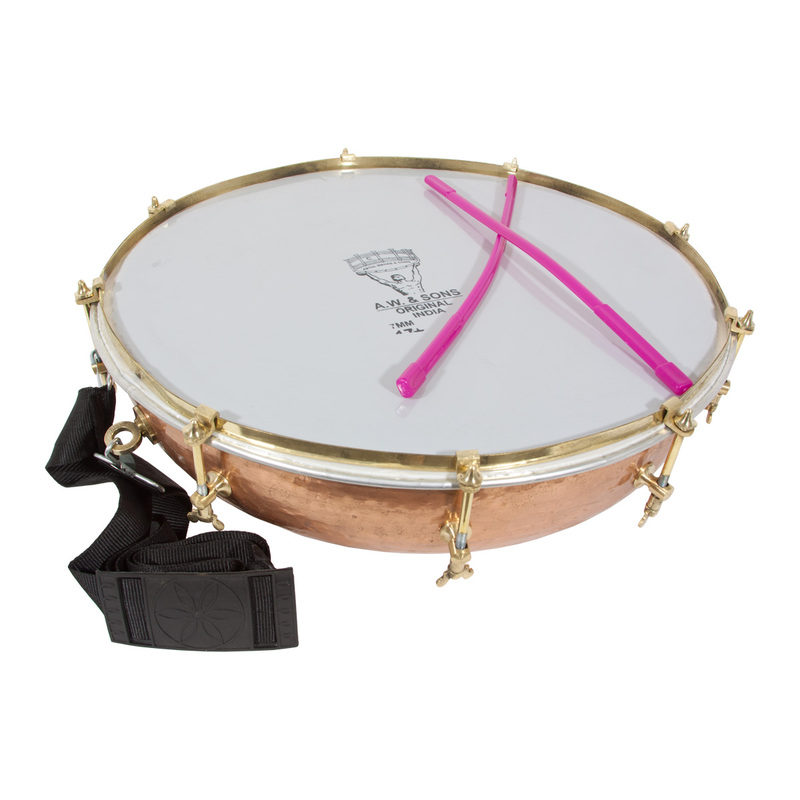 BLEMISHED: 16 inch Tasha Copper Kettledrum. Bolt tuned synthetic head. Includes two plastic beaters and a nylon adjustable shoulder strap. Actual weight, approximately 7.25 pounds.